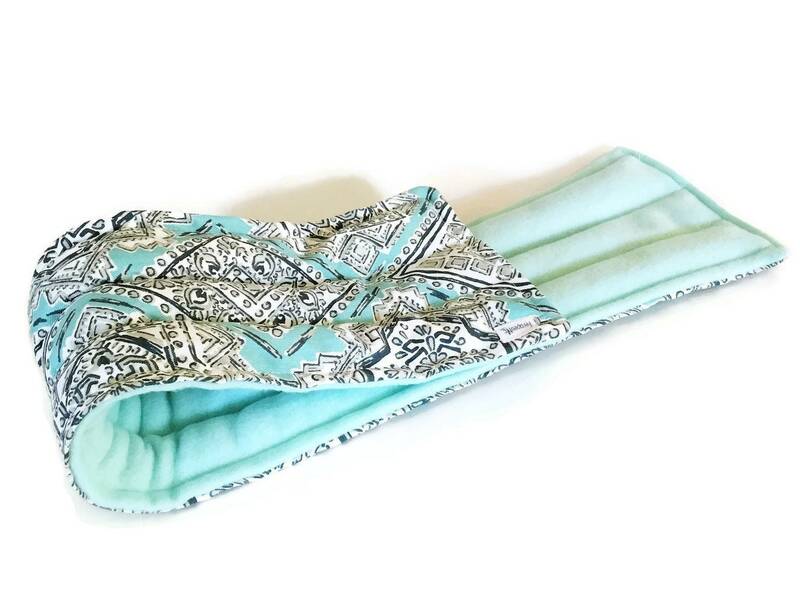 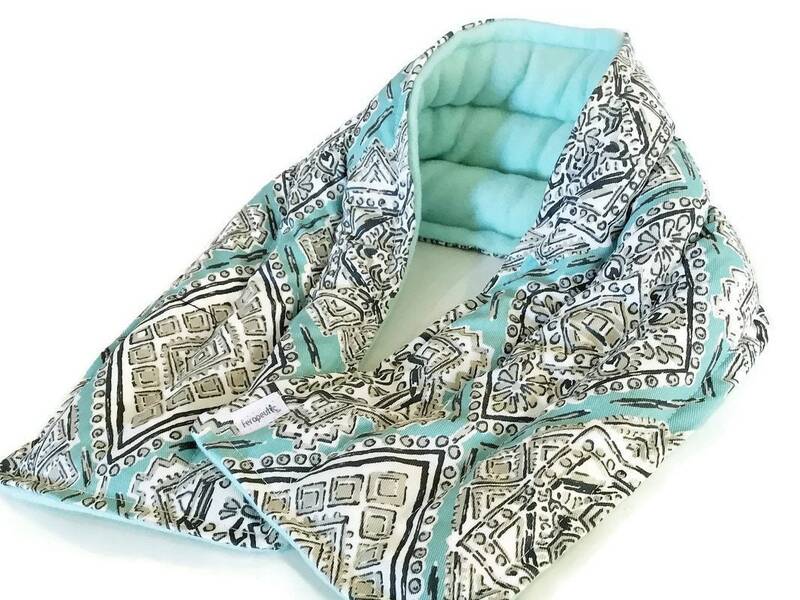 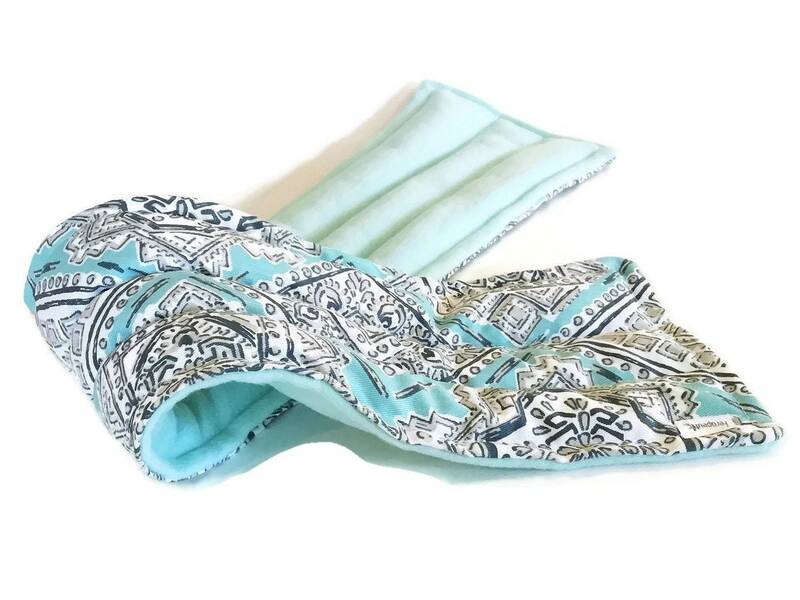 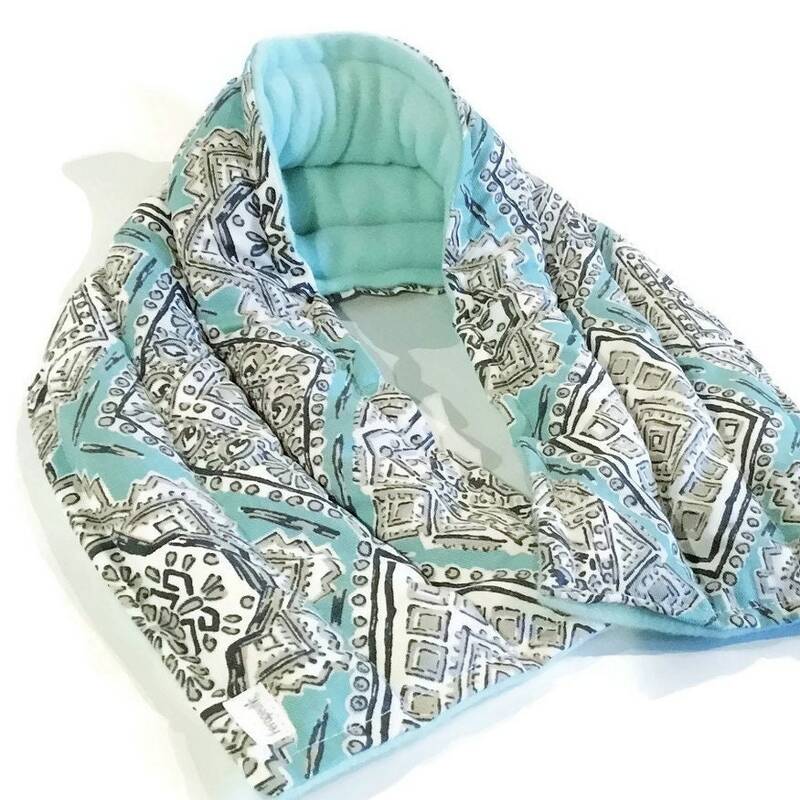 Therapy Wrap for Neck is a heated rice bag providing cervical area moist heat for the ultimate heat pack! 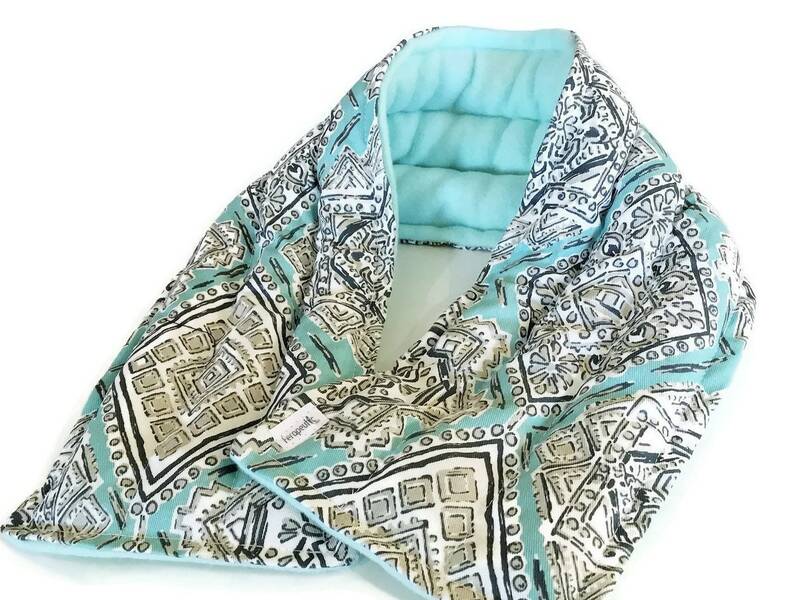 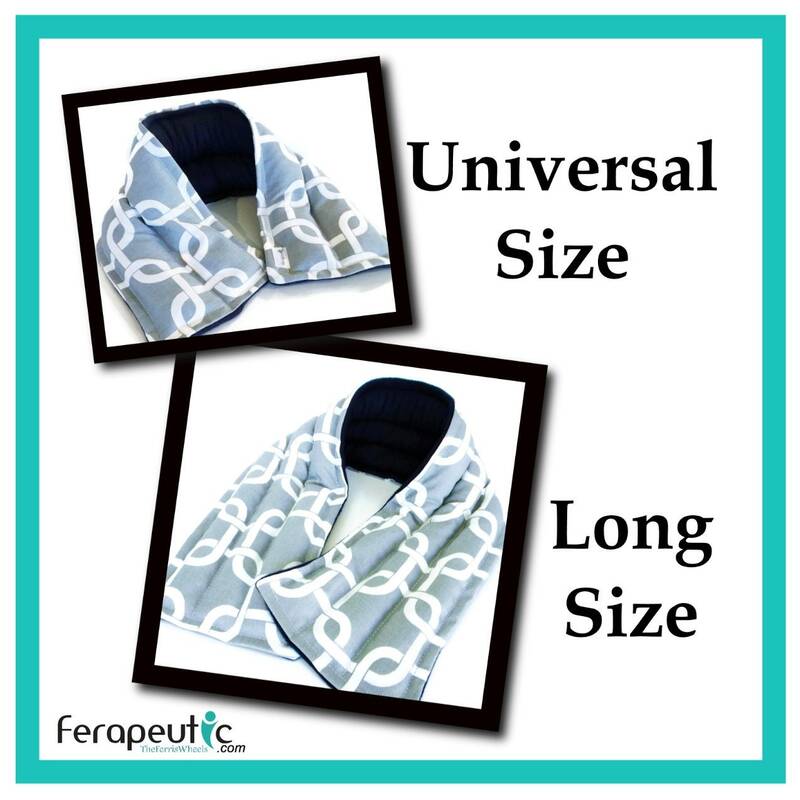 Neck Wrap measures 26" x 6" for an extra long microwave heat pack. 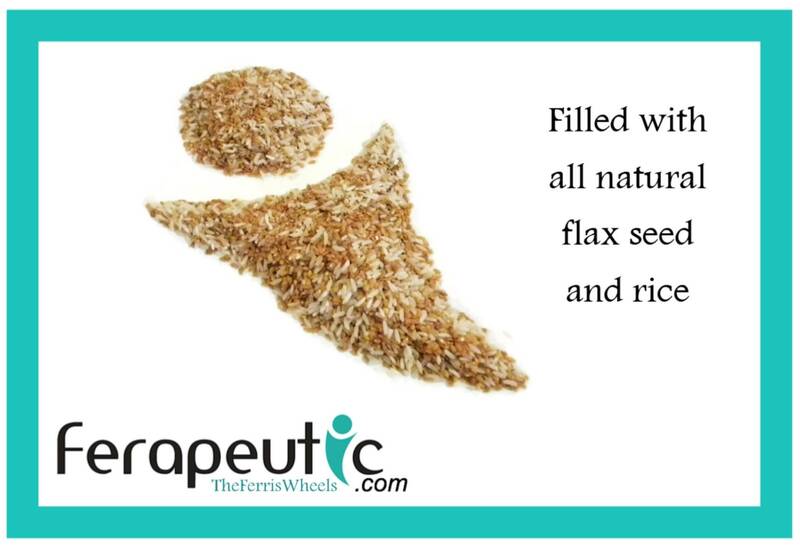 Even distribution of rice and flax filling is insured with three separate sewn in chambers within the tube (see last picture).